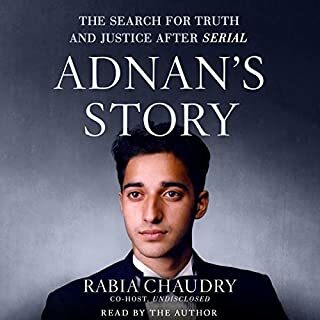 I am one of those people that was sucked in by Serial, listened to it multiple times and then listened to everything Adnan related. Even after following along with Serial, Undisclosed, the Truth & Justice Podcast and Twitter, there is still so much to experience in this book. You get a real understanding of how devastating this was for everyone. You will get a behind-the-scene perspective of the podcasts. I could not stop listening. Rabia narrates and that is the cherry on top of the sundae.